This publication investigates key aspects surrounding the sustainability of bioeconomy development: the use of biomass as feedstock for future production; the design and building of biorefineries for the manufacture of a range of fuels, chemicals and materials, and also for electricity generation; and the use of biotechnologies such as synthetic biology, metabolic engineering and gene editing.Today more than 50 countries have a dedicated bioeconomy strategy or related policies. While the bioeconomy is consistent with sustainability policy (examples are the circular economy, the UN Sustainable Development Goals, green growth, re-industrialisation, rural regeneration, climate change mitigation), synergies must be ensured to avoid over-exploitation of natural resources and conflicting global needs. 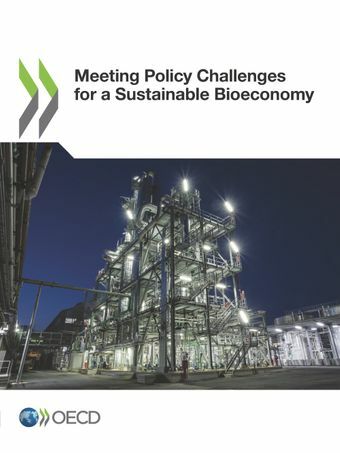 Sets out components of a policy framework for a bioeconomy that countries can use to help identify their relative strengths and weaknesses, fill policy gaps and understand the bigger picture for the international bioeconomy. Identifies barriers and opportunities for achieving biomass sustainability. These are linchpins for solving a central quandary in the bioeconomy: how to reconcile the food and industrial demands of biomass. Identifies and analyses recent policies to achieve the elusive goal of fully integrated biorefineries that can use multiple feedstocks and generate multiple products (fuels, chemicals, materials, electricity). Argues that realising the potential of biorefining to replace fossil-derived manufacturing will require producing materials at a scale appropriate to society. Policy implications run the gamut from R&D funding to commercialisation.